Assistant Coach Corey has a B.S. in Sports Management from UNF and runs year round sports camps for kids. 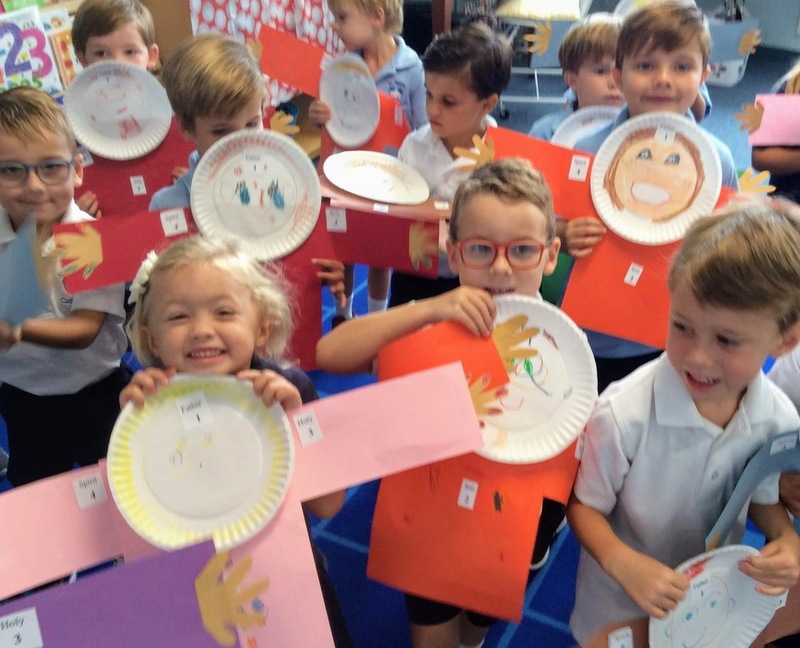 What are Parents Saying About Our K Prep Program? We believe that choosing K-Prep for our late-birthday son is one of the best decisions we have made as parents. Although we never doubted his academic readiness, we believed he would benefit from an additional year of maturing to ensure that he would thrive in Kindergarten. In addition to the gift of time, Mrs. Buttner helped our son advance his academic skills, nurtured his strengths such that he has developed a very strong sense of self, fostered an environment that has helped him develop advanced interpersonal skills and promoted a value system that has resulted in a strong bond with all of his classmates which may very well continue through middle school. We believe that K-Prep has not only prepared him for kindergarten but has potentially given him an edge that he otherwise may not have had. K Prep has been a wonderful experience for my son. I can see a big difference in his maturity, mastery of basic concepts (letters, numbers and sounds) that are necessary for Kindergarten, and in his self confidence. How much was due to an extra year and how much was due to the loving supportive atmosphere at St Paul’s it is hard to tell. I do know as a parent who was leery to send him to K Prep, I do not regret my decision one bit. The smaller class, wonderful teaching team, and gift of time has been rewarding for my son. I feel he is ready for Kindergarten. I admit my biggest concern was watching his friends move on to Kindergarten without him. That concern was a non issue. He still has play dates with his friends from VPK and he sees them at lunch and on the playground. And he has made new friends as well. K Prep has been a blessing for my son. It has been an amazing opportunity! I would love to be a resource if you need a parent to talk to other parents considering K-Prep. Allowing Maya the opportunity to build a solid academic foundation in K-Prep was one of the best decisions we have ever made. Maya has developed the necessary foundational pillars related to phonetics, math, reading, time management, mental endurance and socialization. These are critical as she prepares herself for the more challenging work to come. Maya has had the time to develop emotional maturity and confidence during her time in K-Prep. I am so thankful to be part of the inaugural launch of this program. This was a blessing to Maya and the other young 5 year olds, who needed just a little more time to gain a solid footing. Mandy and I could not be more pleased with our experience with Mrs. Buttner&apos;s K-Prep class and the personal growth of Tripp. Our experience with Mrs. Buttner&apos;s K-Prep class has been nothing but exceptional. Tripp&apos;s experiences and growth this year has exceeded my expectations. Personally, I struggled with the decision regarding choosing K-Prep or Kindergarten. Tripp and I share the same birth date (July) and I figured that I made it without any major issues through my lower education years, so he would too. However, we took Michelle&apos;s advise, based on her observations and experiences with Tripp, that it would be best for him to go into K-Prep. I am very grateful for Michelle thoroughly explaining her reasoning for the recommendation. I feel that it has been the best decision for us to allow Tripp an additional year of "growth" in the K-Prep class. He has been fully engaged and excited about his classroom experience. He has had tremendous learning, participation and social growth with his class. Mrs. Buttner&apos;s guidance of his social growth and handling situations that would be experienced, really solidified for me that we made the right decision. I allowed my personal experiences to almost override the observations of an expert who had observed my child daily for a full school year. I am very appreciative of Michelle for guiding us through that decision process. I feel that by having Tripp attend the K-Prep class, that it has set him up for academic and social success both now and long term. I wanted to make sure I wrote you an email regarding our experience in the K-Prep class this year. My son Gabriel is an August birthday, so after Pre-K, we were struggling with the idea of putting him straight into Kindergarten. Academically, he was far above the average in reading, phonics, and on par with math skills. However, socially, he was still a young 5-year-old boy! :) I was concerned about him being able to handle the demands of regular Kindergarten. I was also concerned about how well he would be able to socially interact with kids that would be an entire year older than him. And then came the K-Prep class! !